Why unsigned APK, and why is it recommended for most games? 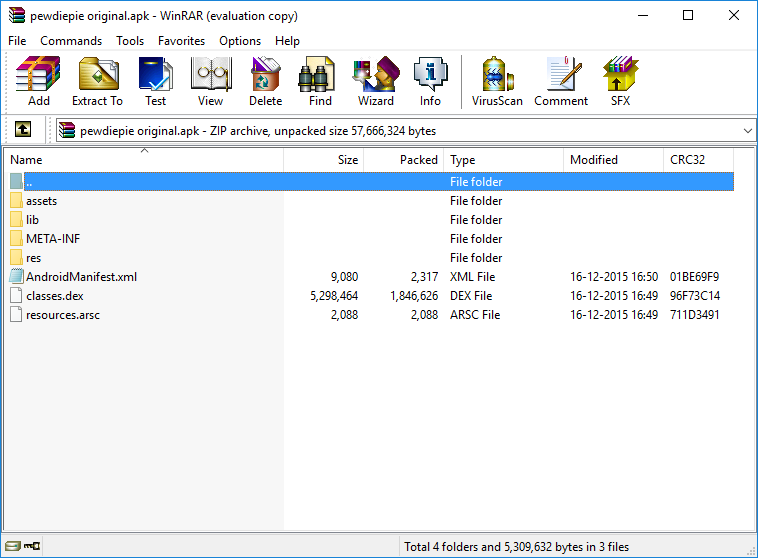 With an unsigned APK, you can install the APK over the original. You can login with your Google+ account without signature error, and login with your Facebook account without uninstalling Facebook app. No more login not working complains! What are the difference between unsigned APK and signed APK? Unsigned APK is an APK that was been modded but the modders kept the original signature by developer to make Google login working. SIgned APK is an APK which was been re-signed by modders with APKtool's signature, dated 29-02-2008. Google or other social medias may not work due to signature that was been changed. You can only install an unsigned APK on your rooted device because it require the signature to be disabled using Lucky Patcher. If your phone is not rooted, please saerch on Google about how to root your phone. 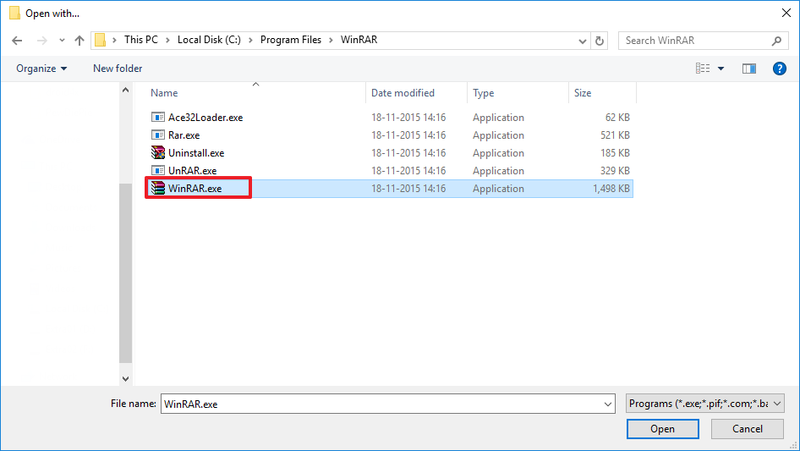 By using the method described, consider to NOT add new files or remove existing files on the APK. For example, along with your mod you need to add a file into the APK, let say in "assets/myfile.dat". It won't work and lead to failure during APK installation. Another example, let say you've successfully remove XC protection and been thinking it's okay to pull the "lib/armeabi/libxigncode.so" out of the APK. Again, it causing installation failure. This is because all file structures in the APK was mapped and their info was stored in "META-INF/CERT. SF" file. The solution is you need to put all your mods along with expected APK file structures in the compiled APK, sign it (with any desired key), then pull the "META-INF/CERT.SF" from this newly signed APK to be used as replacement for the old one at your working APK. 2. 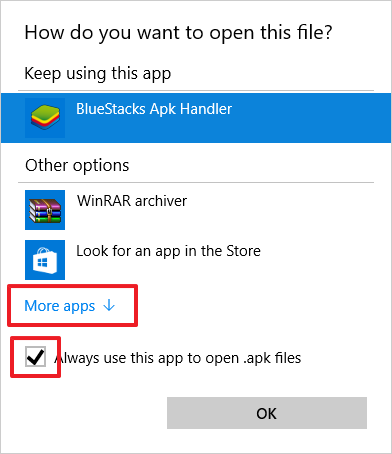 Click on "More apps" and tick "Always use this app to open .APK files"
3. 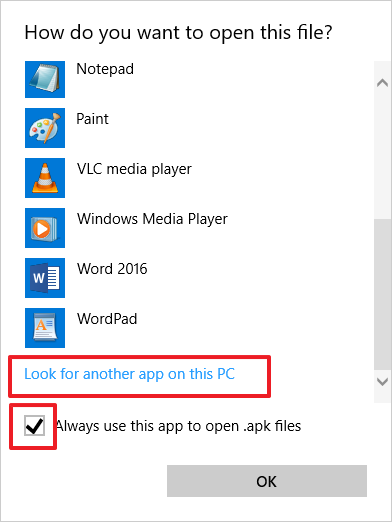 Click "Look for another app on this PC"
2. 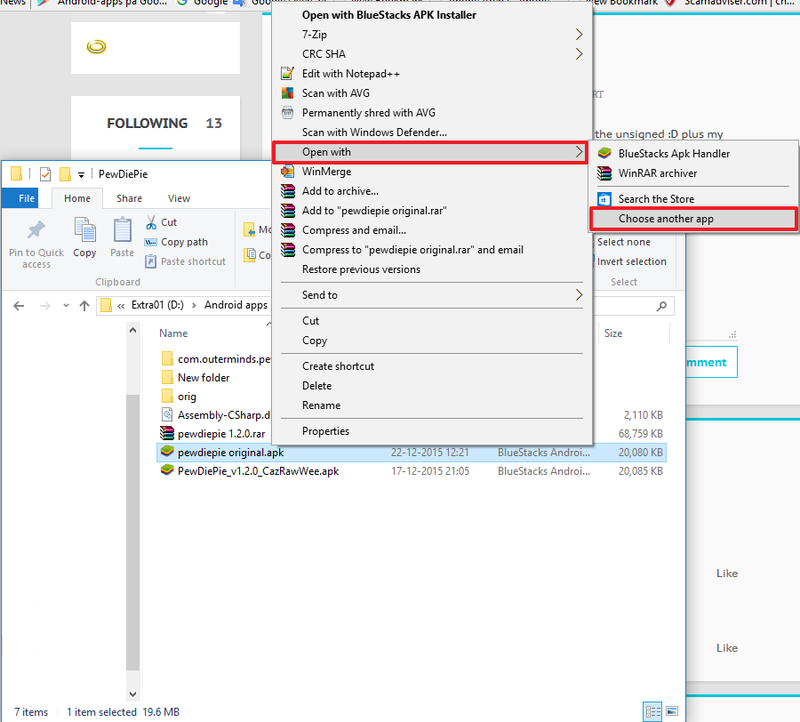 Drag and replace a modded file from a signed APK to an original APK, and the APK will become an unsigned modded APK. 3. Simply close the program, and you are done!